Snow days, meet your match. Columbia snow gear stands up to frigid chills and heavy snows because of quality materials and renowned protective technologies. 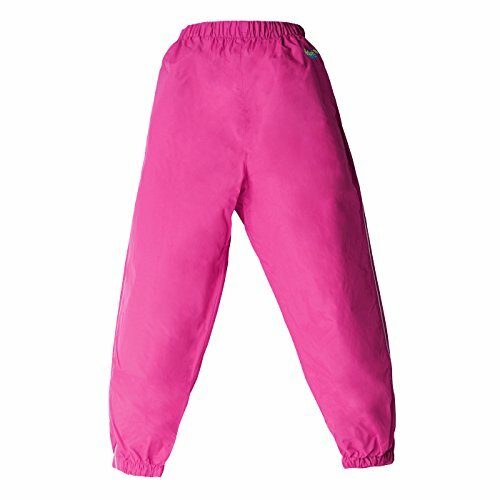 This Columbia Youth Cypress Brook II Pant is a must for any little one ready to take on winter. The technologies featured in this snow pant ensure ultimate element protection: our signature waterproof shell is crafted of a seam-sealed construction and 100% nylon material; our stain resistant technology acts as a barrier from liquids - say goodbye to dirt and muck. The combination of the two provide a shield that can withstand any snow day. 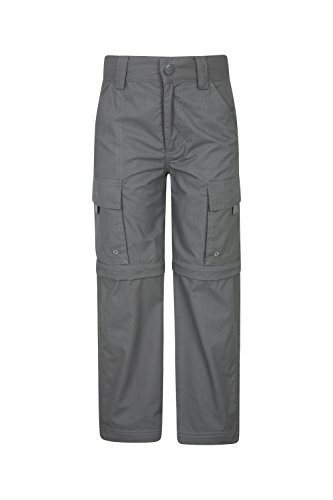 For comfort during activity, these snow pants feature an elastic waist and adjustable tabs at each cuff. As for security, a small side pocket appears at the leg for all your little one's smaller items. 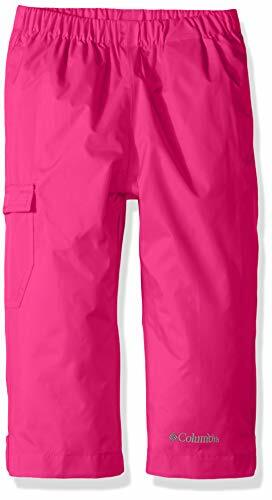 An adjustable fit and protective properties make for a snow pant that's essential while out on the slopes. Columbia offers our Youth Cypress Brook II Pant in multiple staple colors and sizes. To ensure the size you choose is just right, please refer to our sizing chart. To find your waist measurement, measure around your natural waistline. And for your inseam measurement, measure from the top of the interior leg to the bottom of the ankle. 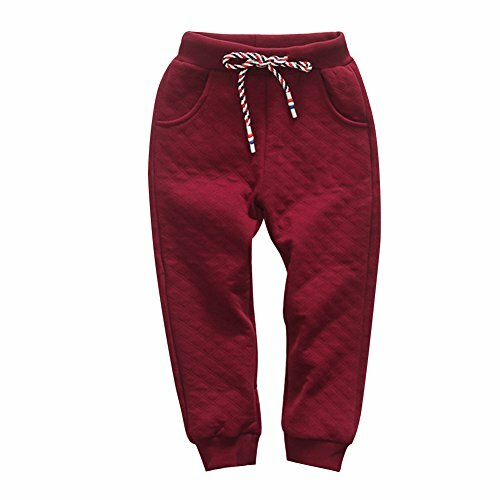 KISBINI Boy's Air Cotton Active Long Pants Sports Sweatpants for Children is made of soft cotton,good hand feel; comfort to skin. Lightweight,windproof,breathable, an ideal sweatpants for boys' wether indoor or sports & outdoor wear. Season: Spring / Autumn / Winter for some South Areas Fabric: 100% cotton Features: Drawstring,Elastic waistband,Solid Quilted Pattern Size Measurement(inches): (3T)110 : Length: 21.3" Waist: 15.7" Hips: 26.8" Suggest Age: 2-3 (4T)110 : Length: 24.0" Waist: 17.3" Hips: 27.6" Suggest Age: 3-4 (5T)120 : Length: 25.6" Waist: 18.1" Hips: 29.1" Suggest Age: 4-5 (6T)130 : Length: 27.6" Waist: 19.7" Hips: 30.7" Suggest Age: 5-6 (7T)140 : Length: 29.1" Waist: 20.5" Hips: 32.3" Suggest Age: 6-7 Please refer to the size chart before purchasing.Due to manual measurement, the size could have 1-3 cm error,thanks for understanding. 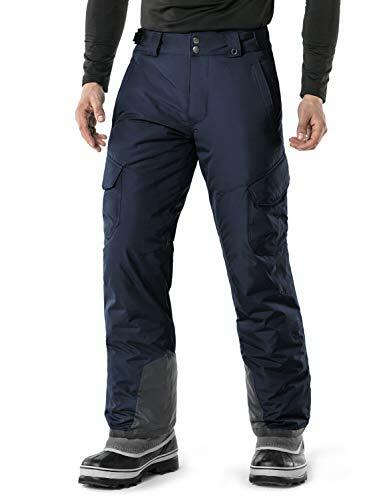 Season after season, the 1540 Arctix Kids Snowsports Cargo Snow Pants with Articulated Knees serve as an outstanding value priced ski/snow pants and a versatile cornerstone of the Arctix line. These pants feature a 100% Polyester Dobby shell with ThermaLock W/R + W/P 3000mm Coating, offering a maximum degree of durability and protection from the elements, while allowing a full range of motion. 85 grams ThermaTech Insulation offers warmth in a lightweight, low bulk garment, keeping you warm at temperatures from -20 to +35 depending on your level of activity. DWR finish (Durable Water Repellent) helps repel water from fabric surface. Articulated knees allow for a more unrestricted range of motion and comfort as you climb, hike, or ski/snowboard. The adjustable waist ensures a comfortable fit while Boot Gaiters with Grippers form a seamless integration with the boots to keep the warmth in, and the moisture out. These relaxed fit pants also include 600 Denier Ballistic reinforced ankle, scuff and hem guards to hold up against daily wear & tear, and conveniently has cargo pockets for extra storage and an O-ring for keys, gloves and/or lift tickets. The pants provide zippered hand warmer style pockets, a zippered fly, and belt loops. They are water and wind resistant, and are machine washable. Advanced Technology: Yutona's Convertible Pant features Nylon Taslon fabric for maxium protection against the sun and Omni-Wick technology that pulls moisture away to keep you cool and dry. Handy Features: This boy's durable convertible pant features one zip-closure security pocket, side pockets with hook and loop closure, and mesh pocket bags for ultimate convenience and efficiency. Applicable: For casual and outdoor recreation wear, Outdoor pants for hiking, skiing, climbing, traveling, camping, mountaineering, fishing. The North Face Size Chart Please note, the logo and hardware color may vary in styles marked as Prior Season. 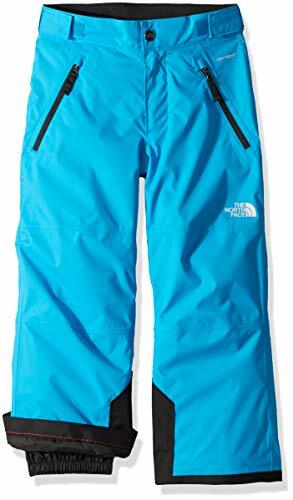 Whether their carving the slopes or building a fort your little adventurer will warm and dry with these snow pants from The North Face . ShellDryVent 2L fabric features a durable, waterproof outer layer paired with a breathable, polyurethane-coated inner layer that allows water vapor to escape. InsulationCompressible 60 g Heatseeker synthetic insulation delivers lightweight, reliable warmth without the bulk. EZ Grow Cuffs extend the length for multi-season wear. System map of features printed on interior lining. Adjustable waist tabs with hook-and-loop closures. Zip-fly with button closure. Secure-zip hand pockets. Elastic ankle gaiter. Reinforced cuffs at hem with inner-leg boot kick-patches. Branding at left waist and knee. 100% nylon;Lining: 100% nylon. Machine wash, tumble dry. Imported. Measurements: Waist Measurement: 28 in Outseam: 35 in Inseam: 24 in Front Rise: 10 in Back Rise: 15 in Leg Opening: 9 1 2 in Product measurements were taken using size MD (10/12 Big Kids). Please note that measurements may vary by size. Please allow 0.5-1 inch size difference due to manual measurements. Compare these product measurements with a similar pants you already own for better fit. 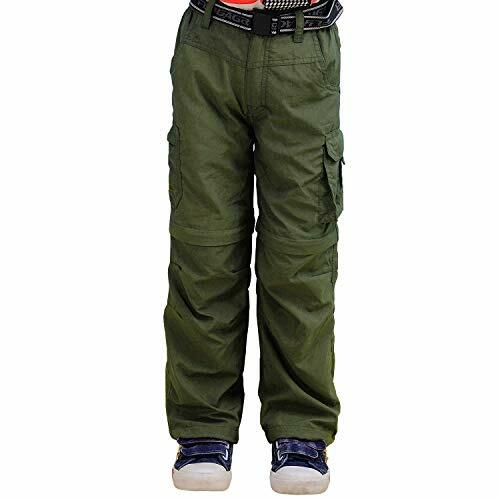 Boy's Quick Dry Cargo Pants: 100% Nylon, Quick dry fabric, Machine Wash. 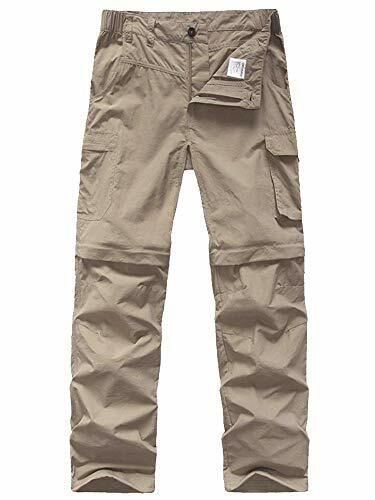 Kids'Outdoor Hiking Climbing Cargo Pants : UPF 50 fabric for maxium protection against the sun, water and stain repellent fabric for weather-heavy days outside. Kids Youth Outdoor Convertible Pants: Gusset detail, and zip-off legs to convert from pants to shorts for the ultimate comfortability. 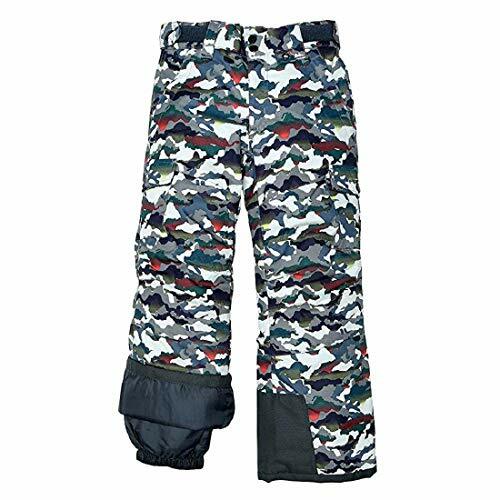 Kids Hiking Camping Fishing Zip Off Trousers: Lightweight, Quick dry and breathable nylon fabric resists stains and makes you feel comfortable when doing outdoor exercises. Boy's Casual Quick Dry Waterproof Convertible Pants Suitable for casual and outdoor wear, outdoor pants for hiking, skiing, climbing, traveling, camping, mountaineering, fishing. Quick dry material dries fast to keep Kids' Boys' comfortable. UPF 50+ shields Kids' Boys' from exposing sun in the middle of outdoors. Multiple pockets for easy storage. A trustworthy outdoor wear Kids' Boys' can expect to have in outdoor adventure. 2XS: Length27.1"--- Hip 25.6"--- Waist 21.3"
S: Length31.5"--- Hip 29.9"--- Waist 24.8"
M: Length34.6"--- Hip 32.3"--- Waist 26.8"
L: Length38.1"--- Hip 35.4"--- Waist29.9"
XL: Length39.8"--- Hip 38.6"--- Waist 31.9"
Please allow 0.5-1 inch discrepancy depending on the measuring method. Compare these product measurements to a similar pants you already own. Kids' Boys' Casual Quick Dry Waterproof Convertible Pants :Lightweight, quick dry waterproof, Breathable nylon fabric Resists Stains and makes you feel comfortable when doing outdoor exercises. Kids' Boys' Outdoor Hiking Climbing Cargo Pants:A partial elastic waist, gusset detail, and zip-off legs for the ultimate comfortability. 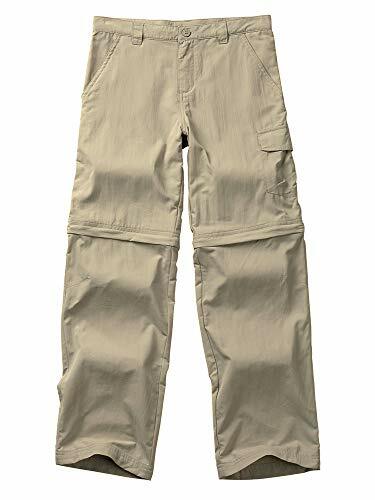 Kids Boys' Active Hiking Climbing Cargo Pants:Can Zip-off Legs Convert to Shorts, You can Quickly Convert Pants to Shorts as You Like, Fit for All Seasons everywhere and everytime for outdoor. 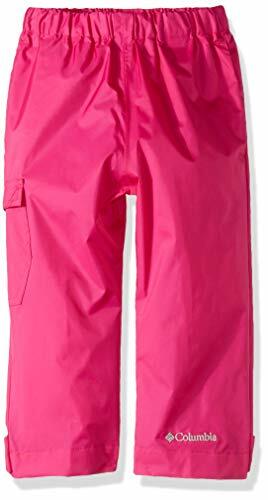 kids Boys' Hiking Camping Fishing Zip Off Trousers: kids Convertible Pant features UPF 50 fabric for maxium protection against the sun, water and stain repellent fabric for weather-heavy days outside. 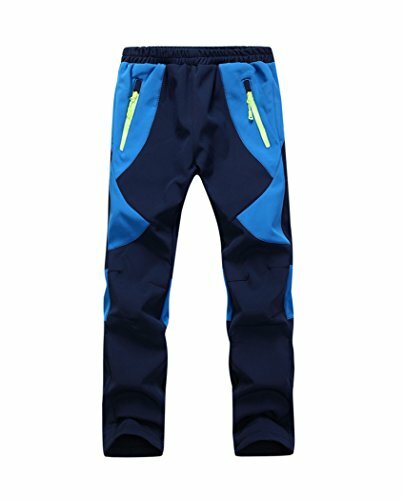 Kids Youth Boys' Outdoor Quick Dry Convertible Pants:Suitable for casual and outdoor wear, outdoor pants for hiking, skiing, climbing, traveling, camping, mountaineering, fishing. Splashy is an exclusive rainwear line made of advanced materials just for children. With strong attention to detail and children's needs, Splashy is perfect for rainy day events of all kinds. Splashy Rainwear is lightweight, comfortable, flexible, waterproof, wind-proof and breathable so kids can still have fun playing outside even in a downpour. Splashy Rainwear is made from high quality tight-knit Nylon fabric instead of heavy, bulky, stiff and uncomfortable PVC plastic material like older style rainwear. Don't let a little rain stop the kids from having some fun outside. Rain, wind, snow and mud have met their match with Splashy Rainwear! 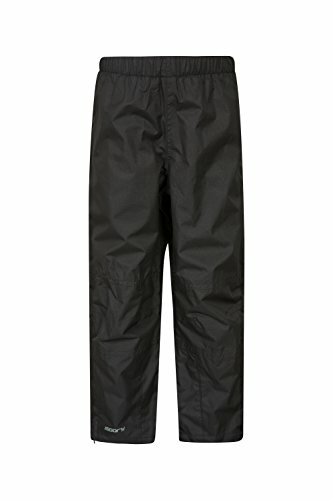 Splashy Rain Pants are not only great for rain, they're also a great layering piece for snowy days! Elastic waist and elastic cuffed ankles keeps rain, snow and mud from getting inside. Front pockets and reflective strip down the legs for safety. Mix or match colors with Splashy Rain Jackets for a full Rain Protection Set!